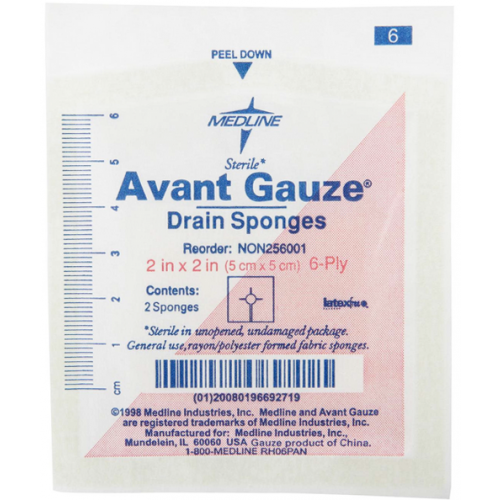 MedLine NON256001 Avant Gauze Drain Sponges 2 x 2 Inch, 6 Ply has extra fenestration that you can use to lay flat when wrapped around the drainage tube. 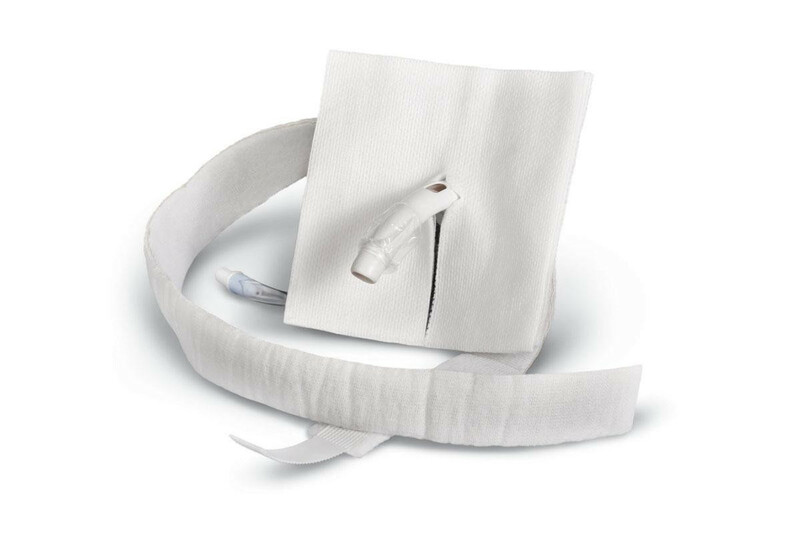 Each sponge is thick enough to handle exudate that comes from the punctured area, specifically when working with the ear. The 6-ply sponge is made using rayon and polyester for high-absorbency, low-linting and fast wicking to the bed. 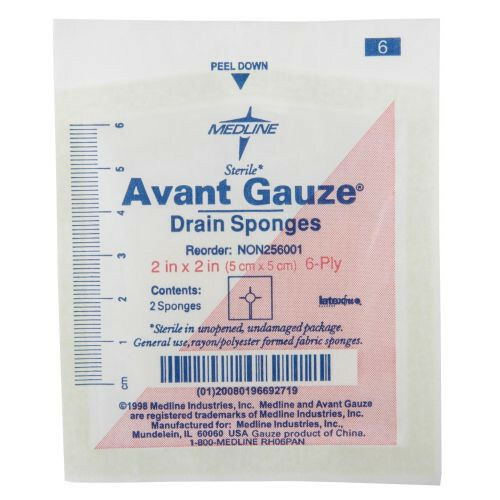 Each drain sponge is small enough to work with light exudating procedures. The opening allows the drain to be pushed through the center portion. 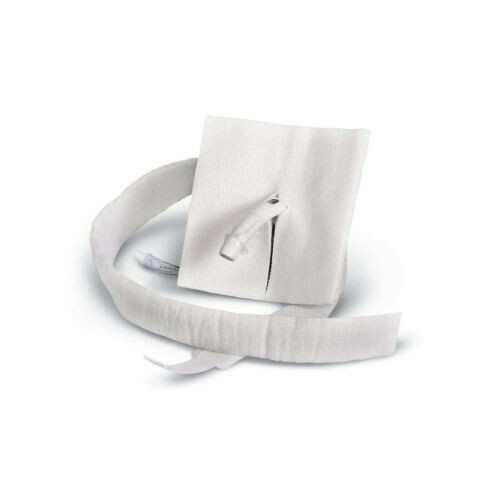 If no tube is used the sponge will lose effectiveness by allowing fluids to pool. Each sponge is latex free to avoid allergic reactions.